Will I need a building permit for my pole building? Usually. In some areas no building permit is required for pole building construction. We have no way of knowing for sure and you will have to research your local building codes to answer this question yourself. We always recommend you check with your local building department before ordering a building from any supplier or builder. We cannot emphasize this area enough! Before you ever contact anyone for a price on a building, CALL YOUR LOCAL PLANNING DEPARTMENT! They are the ones who will have the final say about whether you can build, or not. 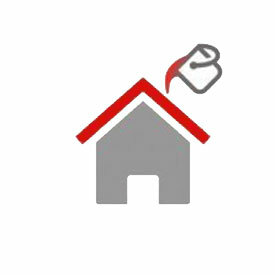 Give them the physical address or parcel number of your property. Tell them what you would like to build and where on your property you would like to locate the building (being mindful also you can’t build too close or on top of drainfields or septic systems). The planner can tell you if you will be able to construct the building you want, where you want it. In most cases these issues can be handled by a telephone call. structures, proposed building, etc., and visit the planning department in person. When I spoke with your office, I was given loading specifications. Can I assume they are correct? No! There are literally thousands of county, city and township building departments across the country. While we make every effort to have the most current loading information on hand, it is impossible for us, or anyone, to always have all of the information 100% correct. Building planning departments can and do change their requirements. There are also many jurisdictions with different requirements for different areas. We cannot guarantee you will be able to get a building permit based upon the code requirements we use. You MUST check with your local building department to confirm all loading requirements before thinking about pole building construction. Why do I need to verify my loading conditions? Shouldn’t the engineer do that? The confusion here is “building codes” and loads. Codes are the books which provide the requirements for design. Loads are the actual climactic conditions applied to a building, based upon its individual location (wind, snow, seismic, etc.). Every site has its own unique characteristics. Engineers must know the building code. The code book does NOT provide specific wind and snow loadings for a given location. There is not a printed “load” book as it would require daily updating, as conditions change due to neighborhoods being developed or forests are logged. My location does not require a building permit. How do I know what snow load it should have? While we have climactic data from many regions, snow loads are generally determined from a value which will only be exceeded once in 50 years. If you receive less than 22 inches of snow, you generally have a snow load of 20 pounds per square foot. For greater snowfalls, multiply the snow depth by 2.36 and subtract 31.9. (Example: 48-inch depth, 48 X 2.36 – 31.9 = 92.9 psf) This is a “ground” snow load. Roof snow loads are determined by multiplying the ground snow load by several factors to account for wind blow off and slope of roof (among other factors). What is the difference between B and C and D wind exposure? Exposure D. “Flat, unobstructed areas and water surfaces outside hurricane-prone regions. This category includes smooth mud flats, salt flats and unbroken ice.” Exposure D shall apply when these conditions, “prevail in the upwind direction for a distance of at least 5,000 feet or 20 times the height off the building, whichever is greater. Exposure D shall extend inland from the shoreline for a distance of 600 feet or 20 times the height of the building, whichever is greater. When I call my planning department, what should I ask? 1. What are the required setbacks from streets, property lines, existing structures, septic systems, etc? 2. 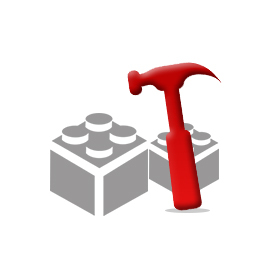 What Building Code does your department use (typically 2006, 2009 or 2012 IBC or IRC)? 3. What is the design GROUND snow load? If you are in a location that has snowfall, what is your snow exposure factor (called Ce)? Or, more simply, is your roof fully exposed to the wind from all directions, partially exposed to the wind, or sheltered by being located tight in among conifer trees which qualify as obstructions? 7. Are “Wind Rated” overhead doors required? 11. Are wet-stamped engineer signed structural plans required to get my building permit? Or, do only the roof truss drawings need to be sealed? Are complete calculations required with plans? Are the exterior finished (showing roofing and siding) elevation drawings required? Will more than two sets of plans need to be submitted? 12. Verify your occupancy category. Most buildings which are not frequently occupied by the public (not a home, business or municipal building) represent a low hazard to human life in the even of a failure and are ASCE Category I. This information can be found in IBC/IRC Table 1604.5 and is not to be confused with the use and Occupancy classifications from Chapter 3 of the code. 13. In areas with cold winters, is the frost depth greater than 40″? 14. Does your planning department have any unusual building code interpretations, amendments or prescriptive requirements for non-engineered buildings which could effect this building? If yes, get a copy. With this information in hand, you can provide it to us, or anyone else you are getting a quote from. This will make sure you are getting an accurate price for your actual, site specific, loading conditions and aid in estimating pole building construction costs. What is the difference between an agriculturally exempt and a permitted building? In our book . . . nothing. We treat both of them the same. Every pole building kit we sell is enineer sealed by an engineer licensed for your state. Like you, we have seen some tremendously low prices on “agricultural” buildings and wonder what is being left out to make them so much cheaper than the same company’s “permit ready” buildings. Can you make changes to your construction in order to meet local pole building codes? We could. However, because our buildings are designed to meet the most current nationally recognized building codes, it is rarely an issue. Can I get elevation drawings of my building? 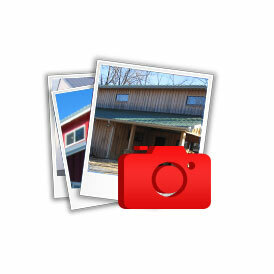 in California) require them in order to obtain a pole barn building permit. Is there anything excluded from your plans or calculations? loadings. In this design, the post foundation is classified as an isolated, shallow foundation. In the event any other foundation type be desired, or required, you will need to hire an appropriate engineer. If an engineered soils test is required by your planning department, you will need to hire a local soils engineer to prepare a report prior to our engineer doing the foundation design. What if I can’t obtain a building permit from your drawings? Provided you have furnished us with the correct code and loading information, and purchased our Platinum engineering package, we guarantee you will not be denied a permit for any structural reason. In the unlikely event you are denied a building permit, for structural reasons only, we will promptly refund your money. What if I need fire separations or other fire protection? Provisions for firewalls, sprinklers or other fire separations or protections are normally beyond the scope of our plans and designs. Only if specifically indicated on our quotation, would they be included. 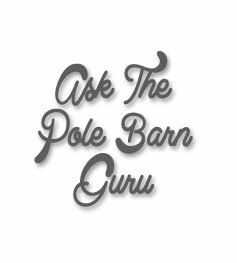 How much will my pole barn permit cost? Truthfully, we have no idea. In some jurisdictions the cost is as low as ten dollars. These, however, tend to be the exception. The costs of permits vary greatly from one location to another. Generally, the permit cost is based upon an assumed building valuation determined by your planning department. A phone call to your building department can usually give you a very close estimate of the actual permit cost. You will note this assumed building cost could be much greater than what you will be paying for your building. We do know of instances where customers have successfully argued their case of having paid much less for the building and gotten the permit fees reduced. What if my inspector requires my drawings to be stamped or sealed by an engineer? NEVER BUY A BUILDING WITHOUT PLANS STAMPED OR REVIEWED BY A REGISTERED PROFESSIONAL ENGINEER OR ARCHITECT!! 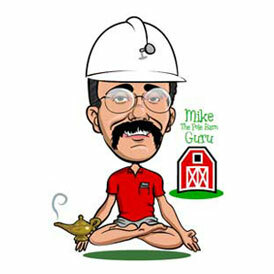 We have engineers registered in every state who understand the complicated building codes. Your plans will be stamped by our engineer and sent to you by Priority Mail. Some building departments also request engineered design calculations, which our engineers can provide. Besides your engineered plans will I need anything else to obtain a pole building permit? Normally only a “plot” plan. Your plot plan is an important piece of the permit process. While it does not have to be architecturally beautiful (or usually drawn exactly to scale), it is important to give accurate dimensions between your new building and all other structures, property lines, permanent easements and septic systems. It will show the planning and zoning staff the location of your home and any other permanent structures on your property. Label which direction is north and include your name, street address, legal description and/or tax parcel number on it. Most jurisdictions now have preprinted forms to assist you in drawing up your plot plan. Some building departments require a “floor plan” detailing locations of interior rooms, etc. These are outside of our scope of work, and if required, will need to be provided by you. With your plans-only or complete building order, we will provide structural drawings for you to obtain your building permit. You are now ready to ask your building department the right questions before your next pole building construction begins.